GB Boxing’s European Champion, Peter McGrail, has guaranteed the team a medal at the World Boxing Championships in Hamburg, Germany. 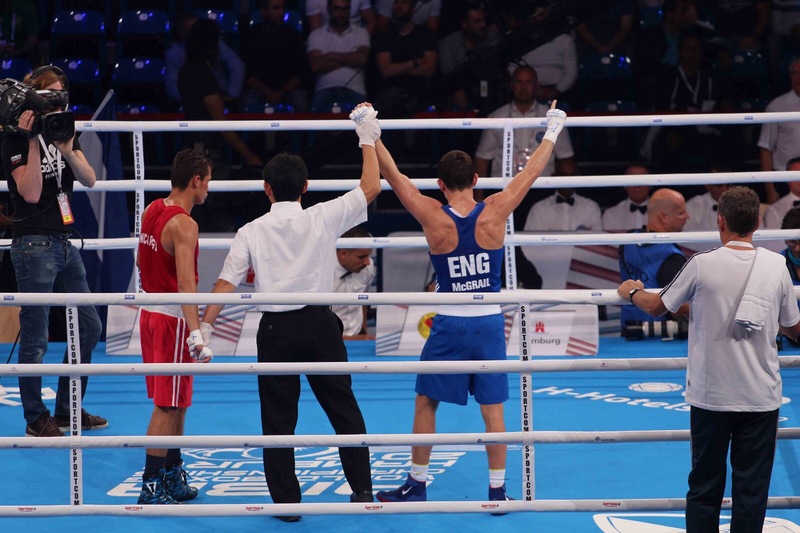 He was one of four boxers representing Great Britain in yesterday’s quarter-finals, which saw teammate Pat McCormack bow out of the tournament after an agonisingly close bout against Rio 2016 Olympic silver medallist, Shakram Giyasov of Uzbekistan. Ben Whittaker and Cheavon Clarke each put in a great performance, before losing their quarter-final to very experienced opponents. The Liverpool bantamweight, who won gold at the European Championships back in June, overcame Leonel De Los Santos of the Dominican Republic to secure his place in the next stage of the competition. McGrail will look to upgrade his already guaranteed bronze medal as he takes on Kazakhstan’s Kairat Yeraliyev in tomorrow’s semi-final. Speaking to GB Boxing, before he went into the championships, McGrail said: “This is the next big competition for me and, after winning the European Championships in my first appearance at a major tournament, I am going into it feeling confident. McGrail is one of ten boxers that GB Boxing qualified for the tournament, and is the only GB Boxer through to the semi-final and guaranteed to return home with a world medal. Results and updates of the World Championships will be posted at www.gbboxing.org.uk and on twitter at @gbboxing. The BBC will screen live action of the tournament on the BBC Red Button and the BBC Sport website from the quarter-finals onwards. It will show all of the semi-finals on Thursday 31st August and Friday 1st September and the finals on Saturday 2nd September. It will also screen a two-hour highlights programme on BBC2 on Sunday 3rd September at 1.00pm.